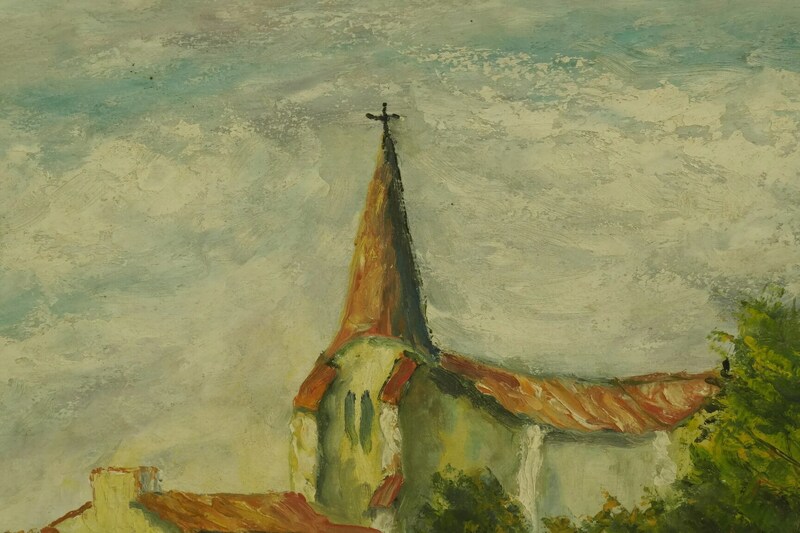 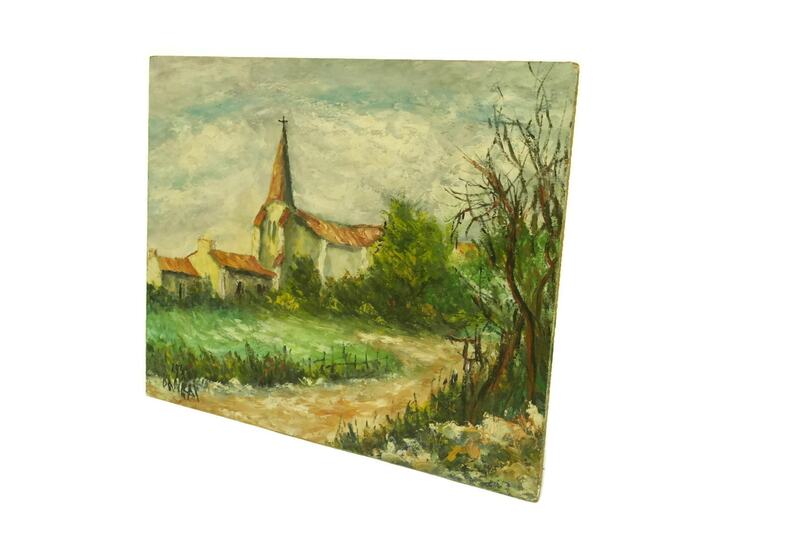 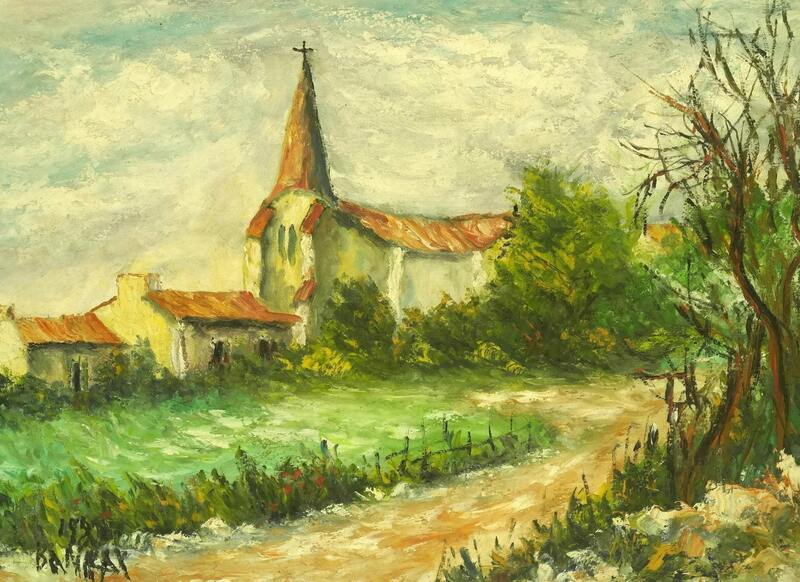 A vintage French country landscape painting featuring a church and trees in Provence. 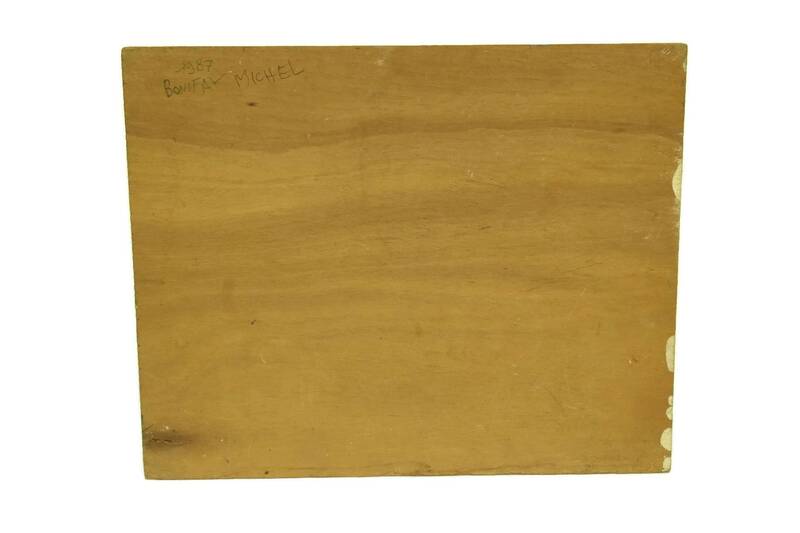 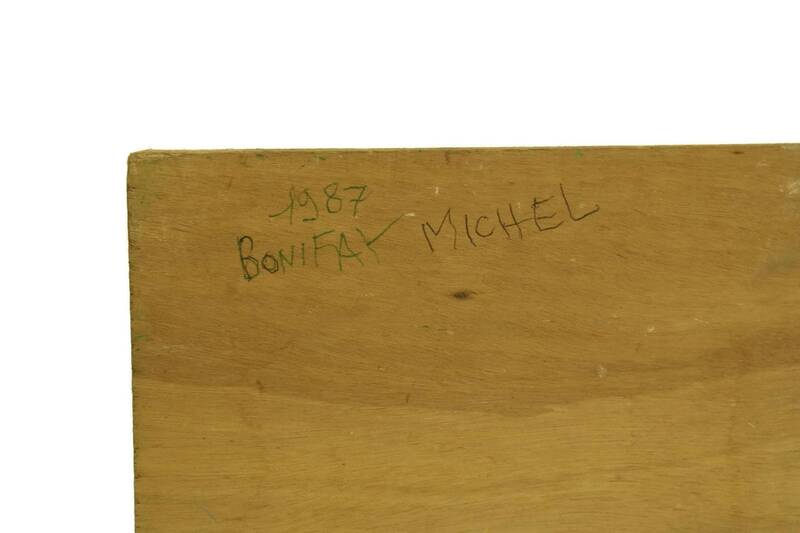 The original art was created by the artist Michel Bonifax and has been painted in oils on board. 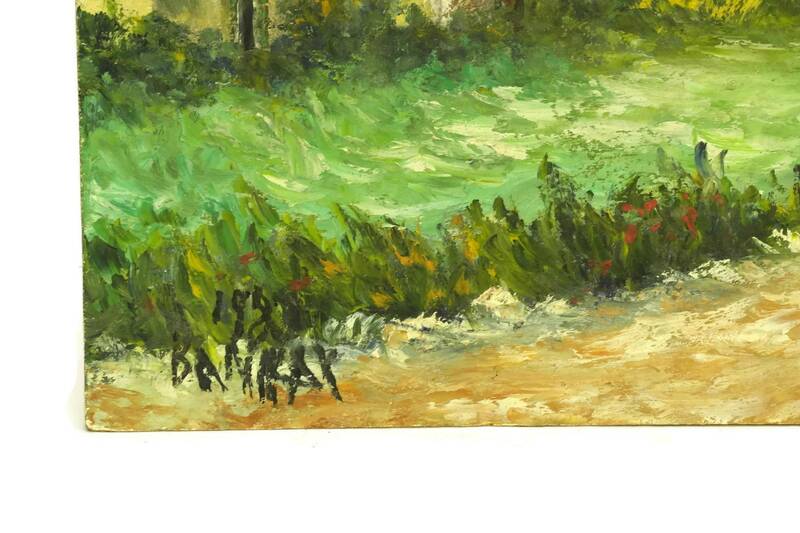 It has been painted with bold brush strokes and a textured surface in a vibrant palette of colours. 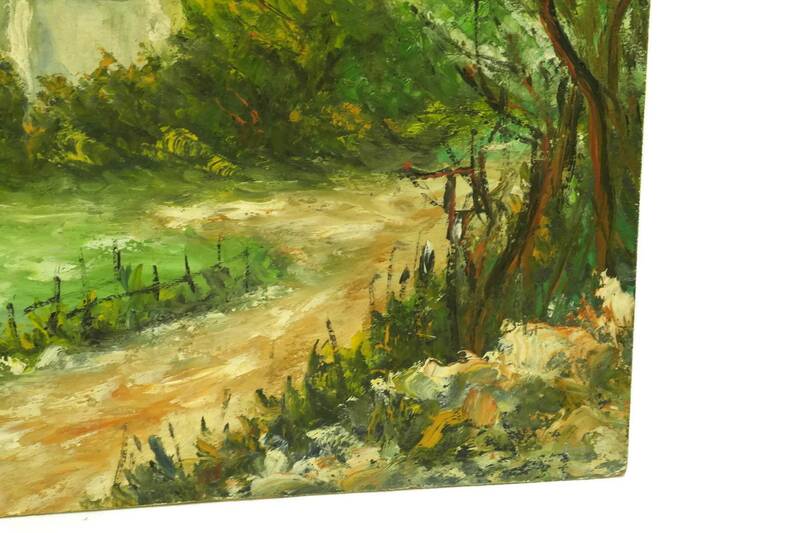 The vintage landscape painting has been signed by the artist and dated 1987. 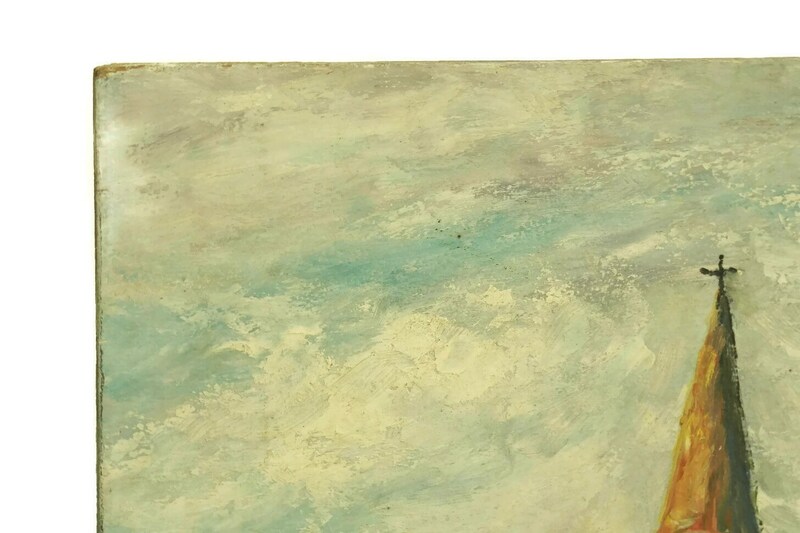 16" Tall x 19.75" Wide. 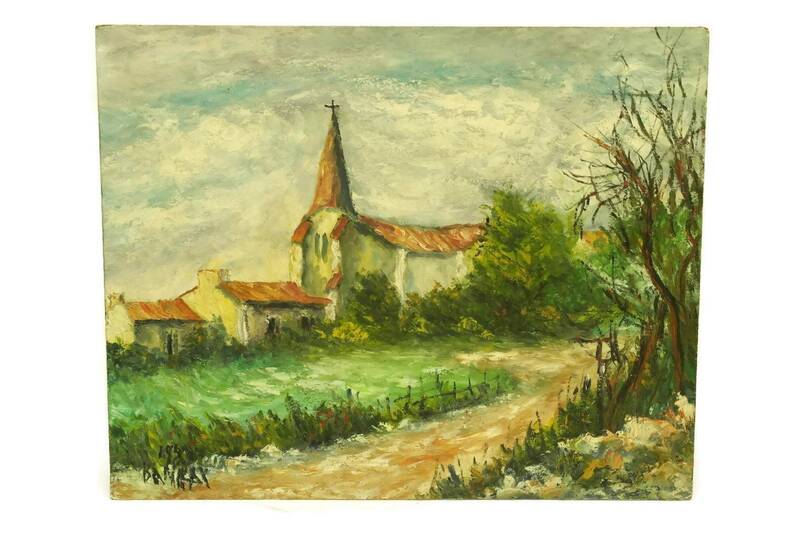 (40 cm x 50 cm). 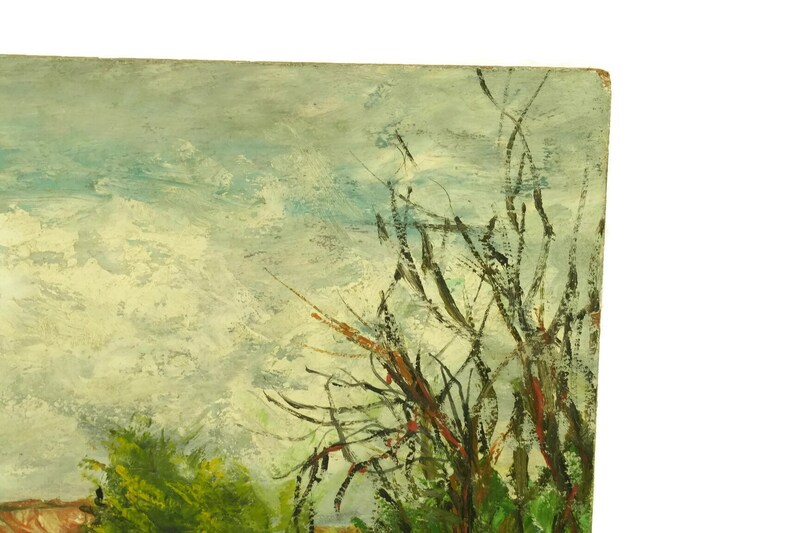 The country landscape painting is in very good condition with some light wear to the edges of the board.